‘Whoosh!” That was the sound loved by Douglas Adams, noted English scriptwriter, essayist, humorist, satirist and dramatist. The cheerful zip of the deadline flying by. To me, that sound is more like: “Argh!” A deadline is just that: life or death. Missing one is fall-on-your-sword stuff. As a freelance journalist, I sometimes feel like a steeplechaser cantering up to three, four, five deadline fences a week. Fall flat and the race is lost. Last summer I met a fellow book reviewer. He said that he had never sent a review in on time. It was as if he had blithely confessed to eating kittens for breakfast. So when I read that the UK government is considering extending the Brexit deadline, my reaction, as a hack, as a voter, and as an all-round stickler, was one of complete and utter horror. Why prolong the agony? What can the Conservatives possibly come up with in the extra time that they haven’t already brainstormed in the past two and a half years? It’s now or never, chaps. Final countdown. Time, gentlemen — and right honourable ladies — please. An extension would be only a temporary pardon, a night’s reprieve. More time to waste, procrastinate, prevaricate, obfuscate, twiddle thumbs, boondoggle. Sooner or later, the gangplank awaits. 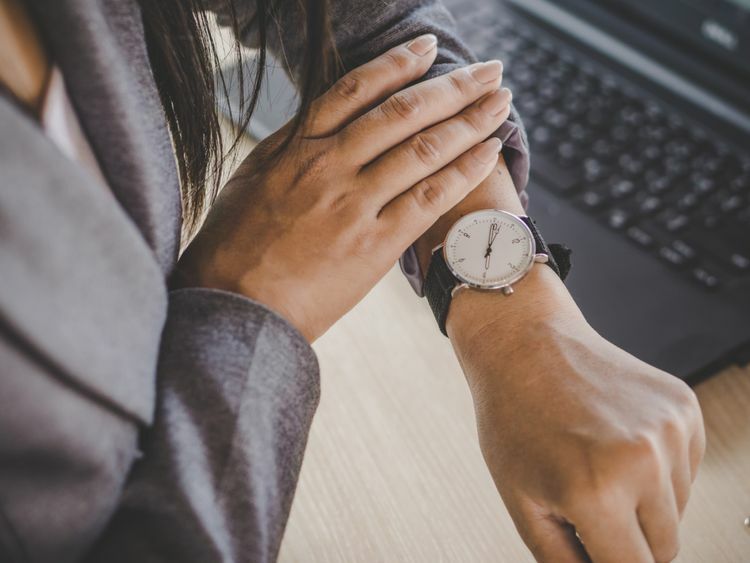 When it comes to dreaded deadlines, for as long as they are ahead of you — whether the marker is today, tomorrow or next week — they are an albatross around your neck, a sword of Damocles above your head, a ball-and-chain about your ankles. Only when a deadline is met do most of us — Douglas Adams excepted, of course — get to feel the “whoosh!” of freedom and release. Earlier this month, an article on the website Buzzfeed about “errand paralysis” among young people went viral. It tackled a generational failing to do simple but important administrative tasks, such as registering to vote, making insurance claims, booking doctor/dentist/dog-worming appointments. What do they have in common? No clear and present deadline. After all, why do today what you can put off until tomorrow (and tomorrow and tomorrow)? Diligent as I am about deadlines, it takes me at least six months to hang a picture that has been propped up against the skirting board. Must do the old tax return, we say in September. Get it in nice and early. Before you know it it’s January 17 and two weeks before the fall of the midnight axe. Without a looming, now or never, do or die deadline, who would ever clear the loft, the garage, the garden shed? It’s only when you have sold the house and the new owners are practically on the doorstep that you finally face the cupboard under the stairs. Unless someone holds my feet to the fire and sets an unbreakable deadline, I will never, ever do the following: sharpen the kitchen knives, glue the wheel back on to the vacuum cleaner. For all that I moan about deadlines, I like their discipline, the firm crack of the whip that gets me out of bed and on my mettle. Tick, tock. Laura Freeman is a writer and art critic. Her first book ‘The Reading Cure: How Books Restored My Appetite’ was a best-seller.